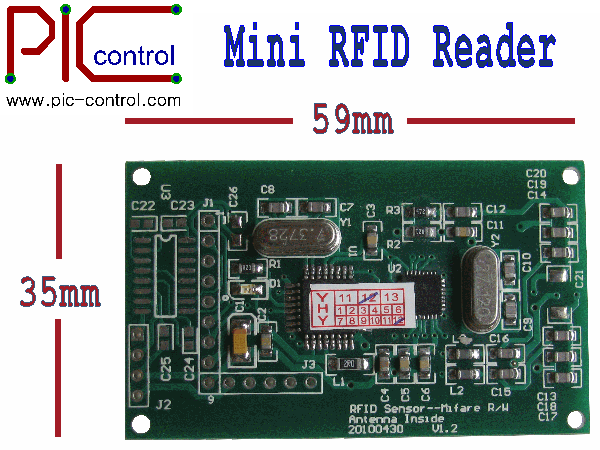 Small mini RFID reader capable of reading 13.56MHz RFID tag ID. The size is only 59 x 35mm. The module is able to read the tag ID via the UART communication port. There is also a digital output pin which will be activated if there is a RFID card detected within the detection range of about 50 to 70mm. This module can be integrated with a controller, microcontroller or to a computer USB/RS232 via a UART converter. RFID Reader RF scanning surface front. 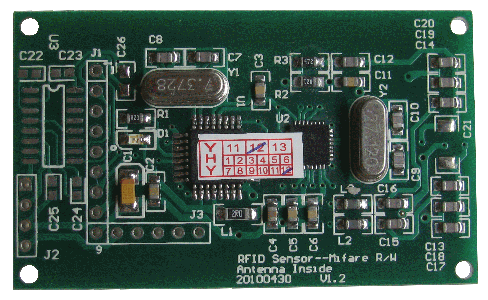 RFID antenna is integrated on this board module. 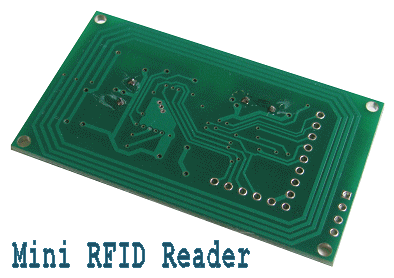 RFID Reader electronic component mounting at the back. Side view of this mini RFID Reader. Only 5mm to 6.2mm thick. This mini RFID reader is now available for $8 each on PIC-STORE. 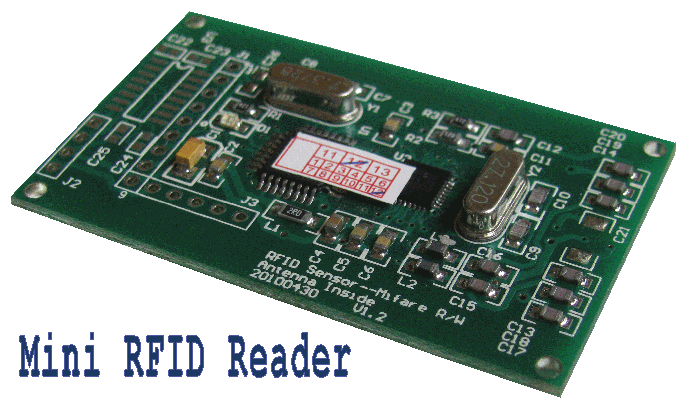 Buy your mini RFID reader now!!! Contact PIC-CONTROL today for your RFID or NFC reader customisation. 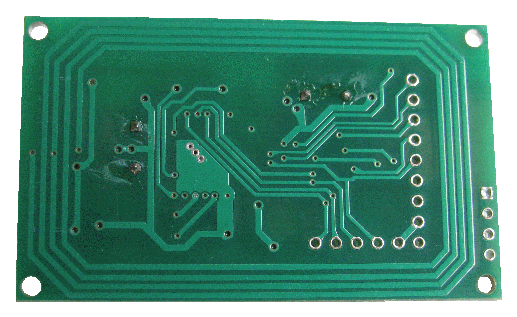 We can help you custom the electronic hardware as well as the backend software.